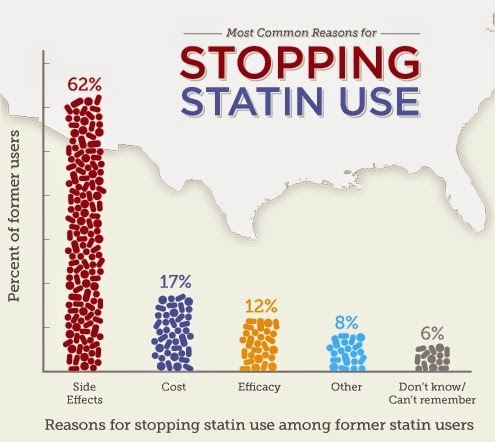 The link between statin use and higher risk of diabetes is not new. Back in 2013, for example, Medical News Today reported on a study published in The BMJ that found certain statins - particularly atorvastatin (Lipitor), rosuvastatin (Crestor) and simvastatin (Zocor) - raised the risk of diabetes by up to 22%. A new study published in the journal Diabetologia finds the use of statins - drugs commonly used to lower cholesterol - may significantly increase the risk of type 2 diabetes, and that this risk remains even after accounting for confounding factors, including age, smoking status and body mass index. The results of the analysis revealed that men who were treated with statins were at 46% higher risk of diabetes than men who were not treated with statins. This 46% increased diabetes risk was present even after adjusting for the men's age, body mass index (BMI), waist circumference, physical activity levels, smoking status, alcohol intake, family history of diabetes and treatment with beta-blockers and diuretic medications. The researchers also assessed changes in insulin resistance and insulin secretion among men who were treated with statins. They found that statins led to a 24% reduction in insulin sensitivity during follow-up, as well as a 12% reduction in insulin secretion. For two statins - simvastatin and atorvastatin - the researchers found the associated risk of type 2 diabetes was dose-dependent, as were the reductions in insulin sensitivity and insulin secretion among the men taking these statins. After accounting for the aforementioned confounding factors, the team found high-dose simvastatin was linked to a 44% higher risk of type 2 diabetes, while a lower dose was linked to a 28% increased risk. High-dose atorvastatin was associated with a 37% increased risk of type 2 diabetes. Of the study participants, 53% were taking atorvastatin and 29% were taking simvastatin. Based on their results, the researchers say: "Statin therapy was associated with a 46% increased risk of type 2 diabetes after adjustment for confounding factors, suggesting a higher risk of diabetes in the general population than previously reported. The association of statin use with increased risk of developing diabetes is most likely directly related to statins decreasing both insulin sensitivity and secretion."